Over the last four years we have worked closely with the Parkrose School District on several projects. Ranging from their Soccer Field, Complete building upgrades to New Multi-Purpose Room Additions. All these projects were preformed within similar situations to your upcoming projects at Mt. Angel School District. Parkrose Russell Academy - Multi Purpose Addition | Upgrade to the interior sections of the school throughout the school and in classrooms. The much-anticipated addition to the school was an exterior multi-purpose room. This project consisted of a floating gym floor, bathrooms, changing rooms, storage space, full integration of HVAC to the original building along with electrical work. 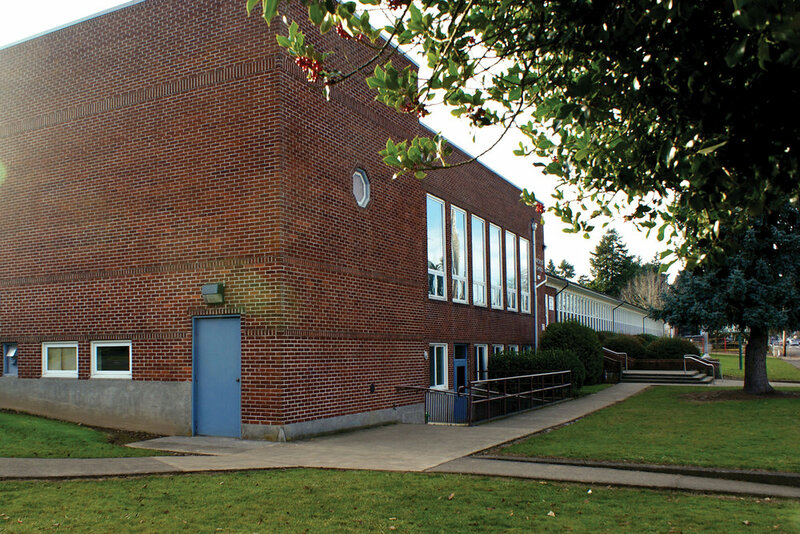 Parkrose Shaver - Multi-Purpose Addition & Re-Roofing | This project was also an upgrade to the interior sections of the school throughout the school and in classrooms. The much-anticipated addition to the school was an exterior multi-purpose room. This project consisted of a floating gym floor, bathrooms, changing rooms, storage space, full integration of HVAC to the original building along with electrical work. This project also included a complete re-roofing upgrades to existing systems. Prescott Elementary | Renovation of existing elementary school, major work includes ADA upgrades, seismic/structural upgrades, new cabinetry, partial reroof, installation of fall protection, replace gutters, replace storefront windows, replace VCT flooring, architectural modifications such as painting, drywall, acoustical ceilings, bathroom tile, wall covering, hardwood floors, and misc. specialties, replace food service equipment, fire sprinkler modifications, re-piping of domestic waterlines and hydronics, replacement of outdated HVAC equipment, electrical lighting and low voltage. Russell Academy | Renovation of existing elementary school, major work includes window replacement, re-piping of domestic waterlines and hydronics, replacement of outdated HVAC equipment, replacing main electrical panels, electrical lighting and low voltage, replace VCT flooring, minor architectural additions such as painting, bathroom tile, wall covering, signage. Parkrose Soccer Field and Fitness Trail | Project included grading and landscaping an existing athletic field into a regulation soccer field and practice field including extensive drainage and irrigation upgrades. These facilities we done during the school session on a fully occupied campus. A design build project for a fitness trail including 1/7 mile walking trail and three fitness clusters for outdoor fitness equipment. The project included the design of the trail, and the construction of that design. Parkrose High School | Preforming various upgrades and improvements.